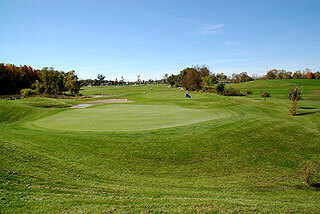 The Eagle Glen Golf Course in Columbia City - just west of Ft Wayne, is a par 72 links inspired layout that presents good quality and excellent value. 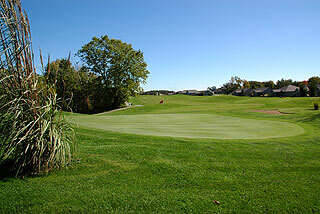 The terrain is quite rolling with generous fairways bordered by meadows of natural wildflowers and cornfields, that wind through a residential community. A scattering of ponds and natural areas add to the aesthetics and challenge. Hole designs fluctuate from those that are wide open, to those that are wooded or feature carries over marsh areas off the tee or around ponds on the approach. 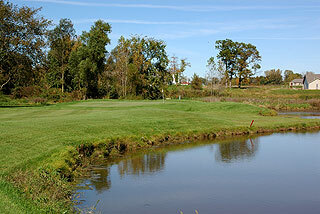 There are just 18 sand bunkers along the course, and water comes into play in some shape or form on 10 of the 18 holes. 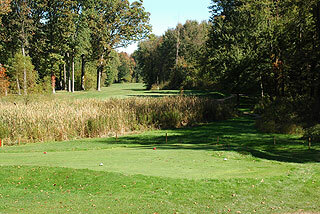 The front side is open except for the par three seventh, while the back side has several tree lined holes. 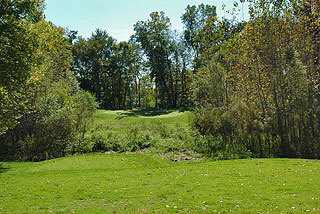 Numbers 10 and 11 have carries over marsh areas, as does the par three 17th. 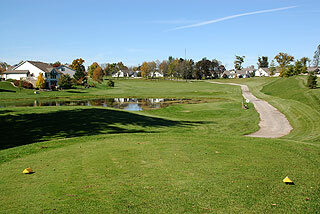 The finishing hole is a par five with a pond near the teeing areas, and another to the right of the sloping green complex, with a landscaped waste area behind and to the right. The sand bunkers here are low lipped and non-penal in nature, and most green complexes have sufficient room to recover from offline approaches. Four sets of tee areas play to distances and slopes measuring 689 yards/130 slope, 6091 yards/121 slope, 5657 yards/111 slope and 5235 yards with a 120 slope for women playing from the forward sets. The yardage marking system includes 150 yard stakes on all par fours and fives plus 100, 150 and 200 yard blocks on the fairways and cart paths. Color coded flags indicate front, middle and back hole locations. On property is a grass range and practice green for putting and chipping, and the clubhouse features a snack area with hot & cold sandwiches, plus pro shop. 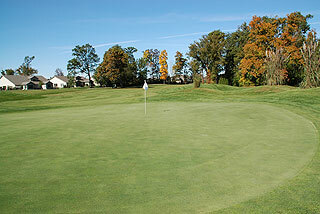 The property can accommodate a full outing of 144 players. 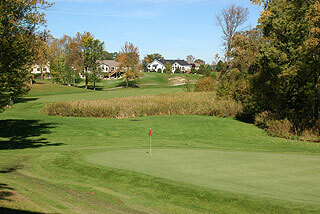 This is a player friendly design, with bent grass greens and fairways. For more info, visit our page for the course, with direct link to their website by clicking here.